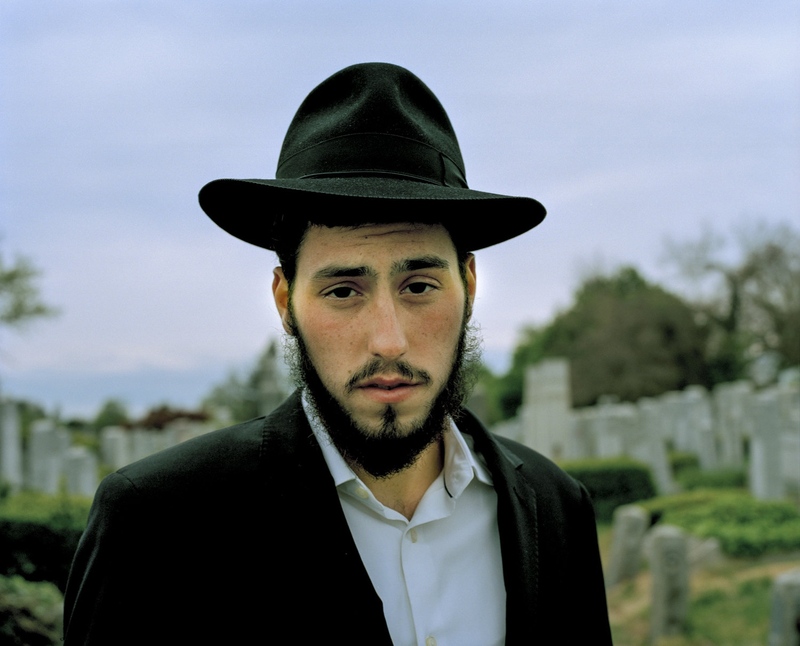 I first met Mendel when he approached me on the street in New York City and asked me if I was Jewish. 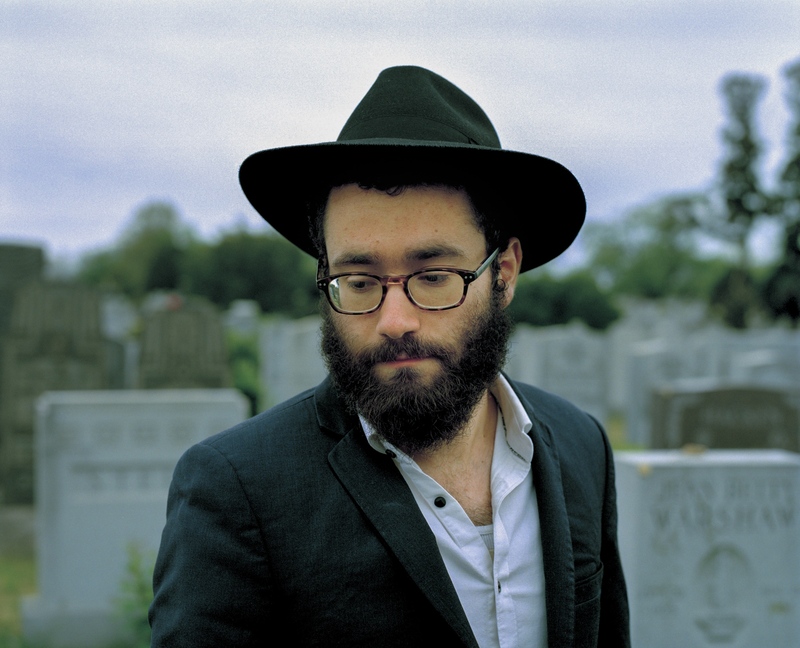 I spent the next couple months documenting him and the Chabad Lubavitch community in Crown Heights, Brooklyn. 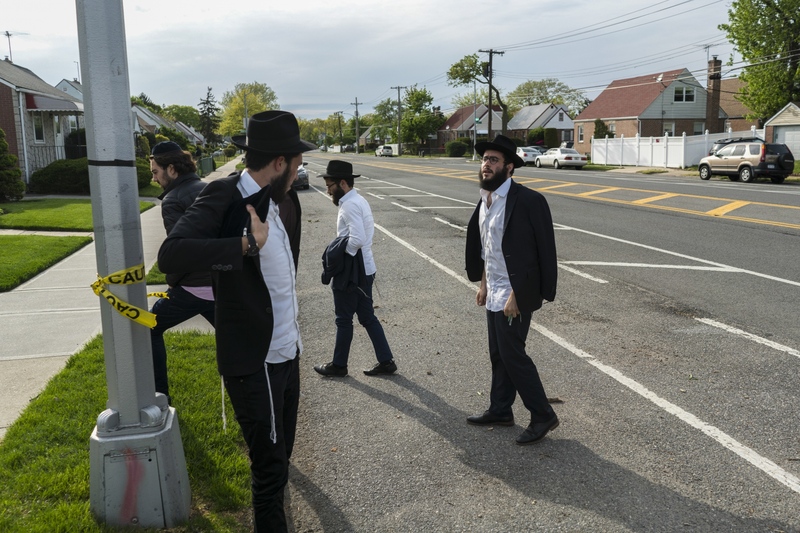 As Lubavitchers, these Jews strictly follow the teachings of their Rebbe and spend their time commiting "Mitzvahs" or good deeds in order to bring about the coming of the Messiah. Menachem Zwiebel or "Mendel" as his friends and family refer to him. 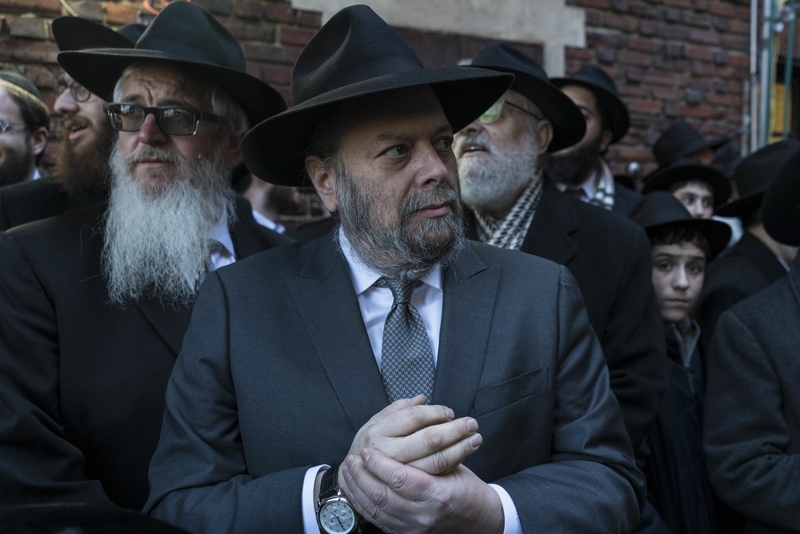 As a Lubavitcher Mendel has followed and preached his Rebbe's teachings throughout his upbringing in Crown Heights, Brooklyn. 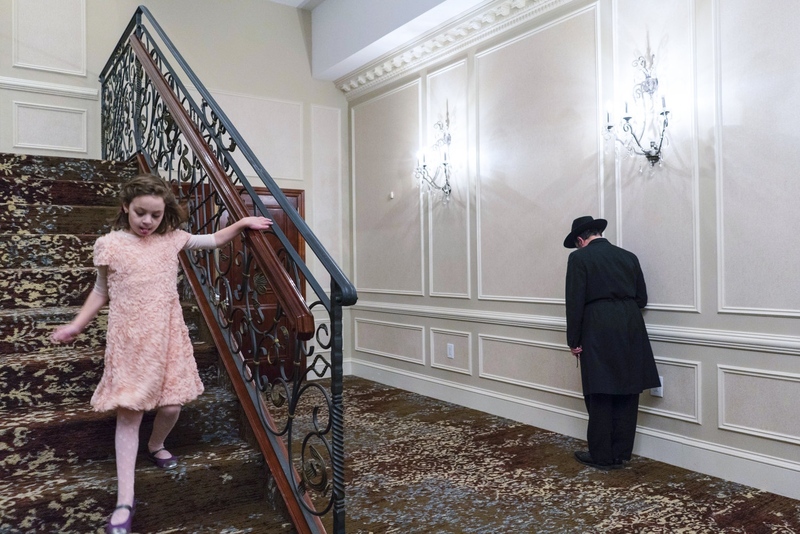 A young girl descends a flight of stairs at the Rachik's wedding reception while an older guest prays in the hallway, Crown Heights, Brooklyn. Mendel and Mendel approach pedestrians on 5th Avenue. They try to get Jews of all backgrounds to perform "Mitzvahs" or good deeds. 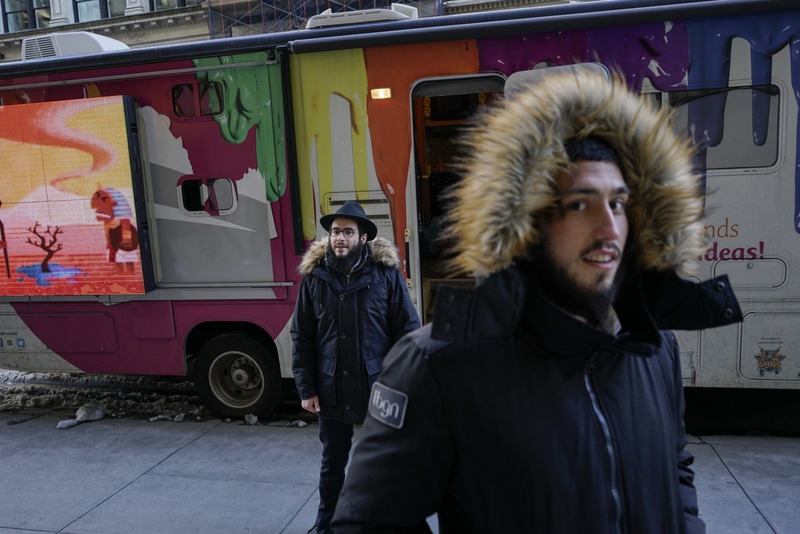 Most of their day is spent in the 'Mitzvah Tank' caravans that park around the city giving people the opportunity to connect with their Jewish faith as a means of getting closer to God. Mendel during morning services at the Chabad center in Manhattan. 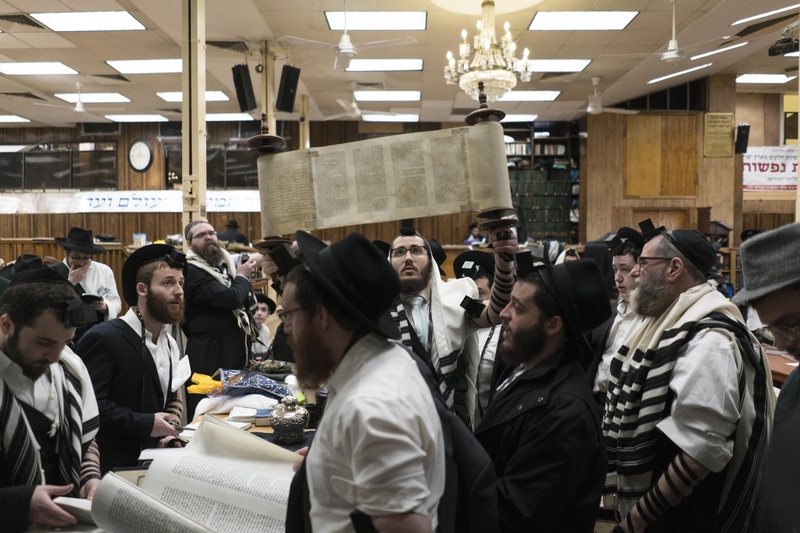 Purim at the Chabad Lubavitch World Headquarters at 770 Eastern Parkway, Crown Heights. 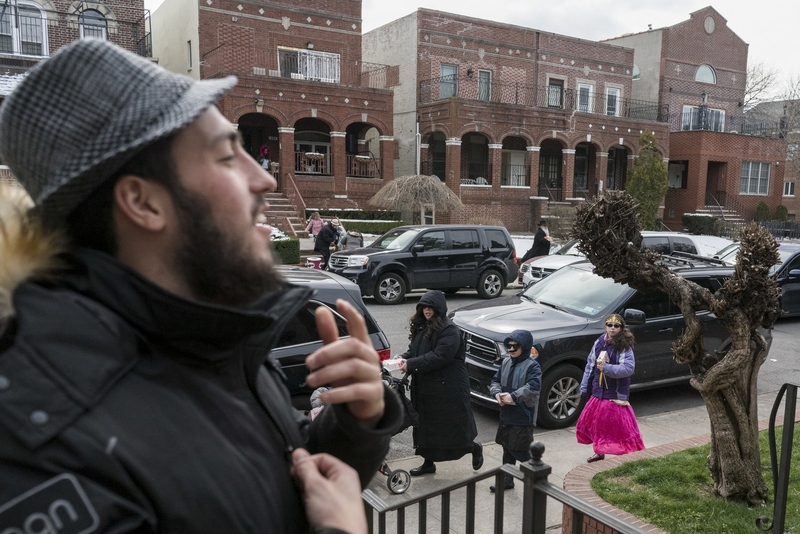 Mendel greets his next door neighbours in Crown Heights, Brooklyn during Purim. 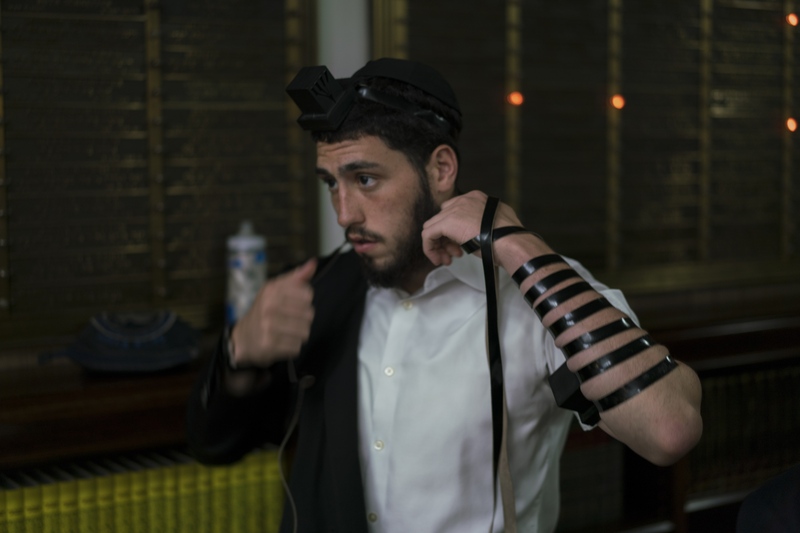 He and his siblings grew up in the same house until he left to study Torah at the Midtown Manhattan Chabad center. 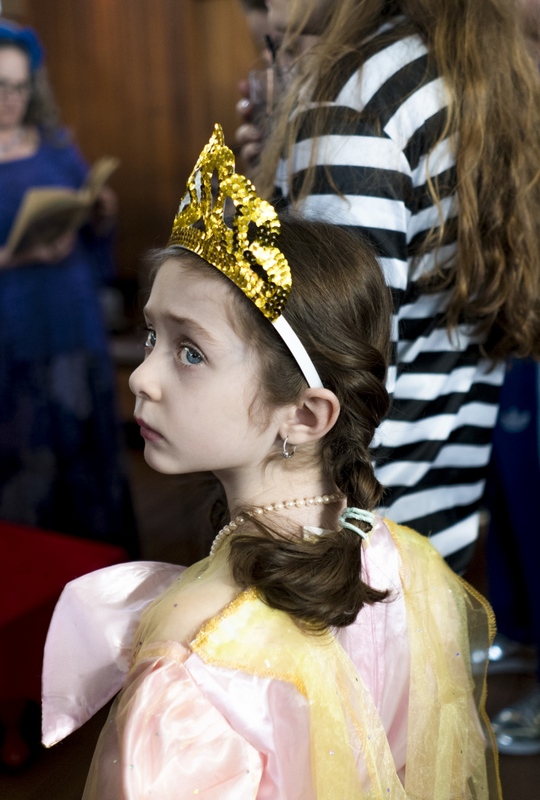 A young girl dressed as Esther listens to a reading of the Megillah at a Chabad Lubavitch party in the Chelsea neighbourhood of Manhattan. Children and adults dress up during Purim to celebrate the saving of the Jews from the evil figure of Haman who plotted against them. 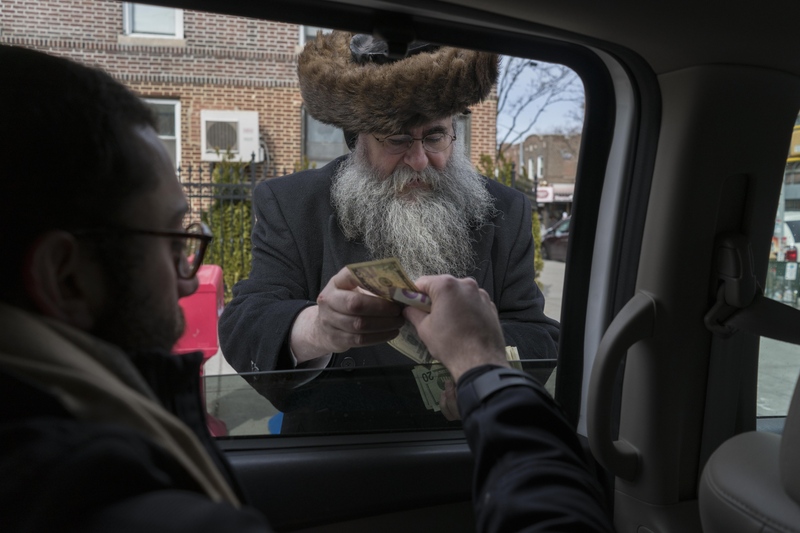 Lubavitchers give money to strangers as a Mitzvah on Purim. 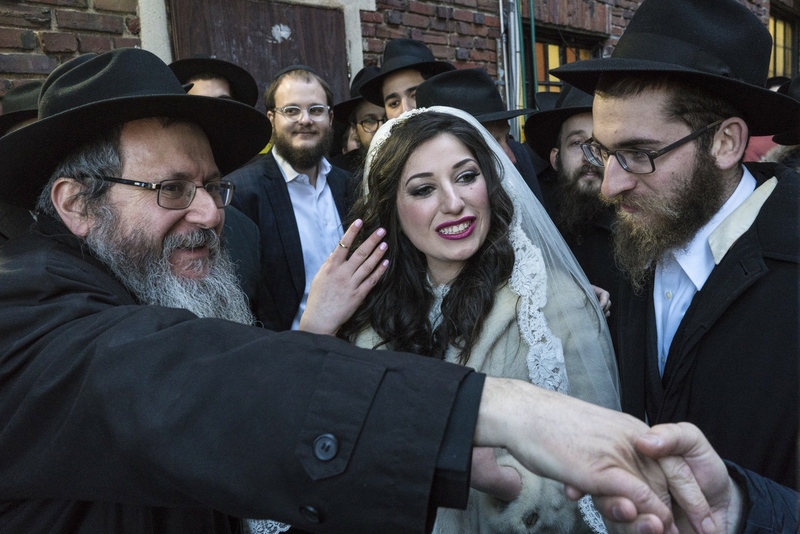 Chanale Gourarie (middle) and Zalman Rachik (right) greet relatives after being married under the Huppah at 770 Eastern Parkway, the Chabad Lubavitch headquarters in Crown Heights, Brooklyn. 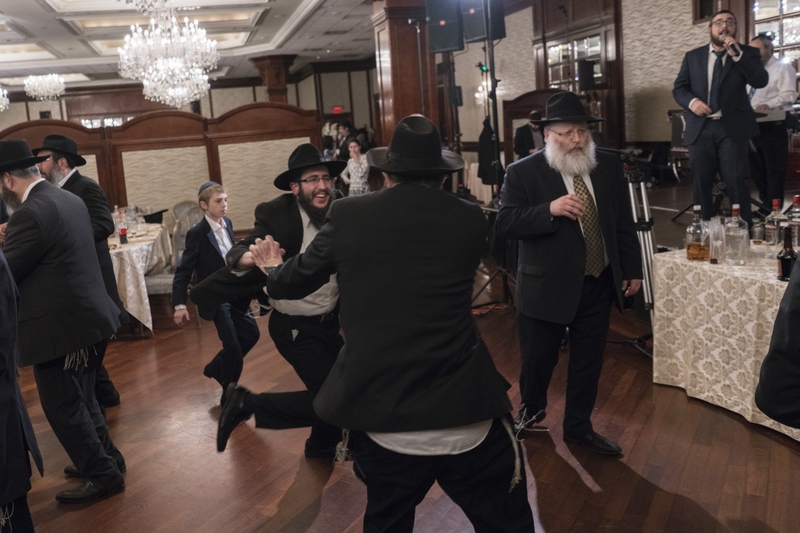 Zalman 22 and Chanale 20, met through mutual acquantinces in the Chabad Lubavitch community. Mendel and his friends visit the Rebbe's tomb biweekly at the Chabad Lubavitch Ohel in Queens. 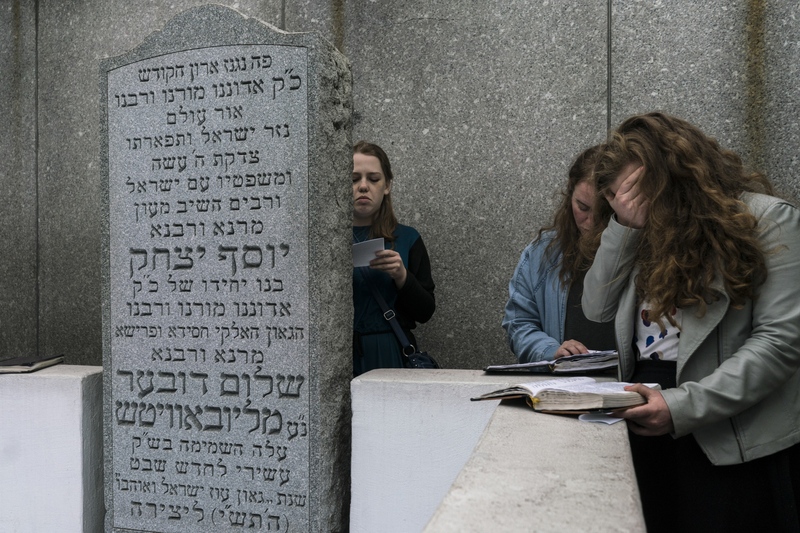 Lubavitchers pray at the Rebbe's tomb at the Chabad Lubavitch Ohel, Queens NY. Visitors leave slips of paper with written prayers on top of his grave. Chabad Lubavitcher Nochom Bernstein vists the Ohel in Queens to pay his respects to the Rebbe and his own family members. Nochom was born on June 12th 1994, the day the Rebbe passed away. 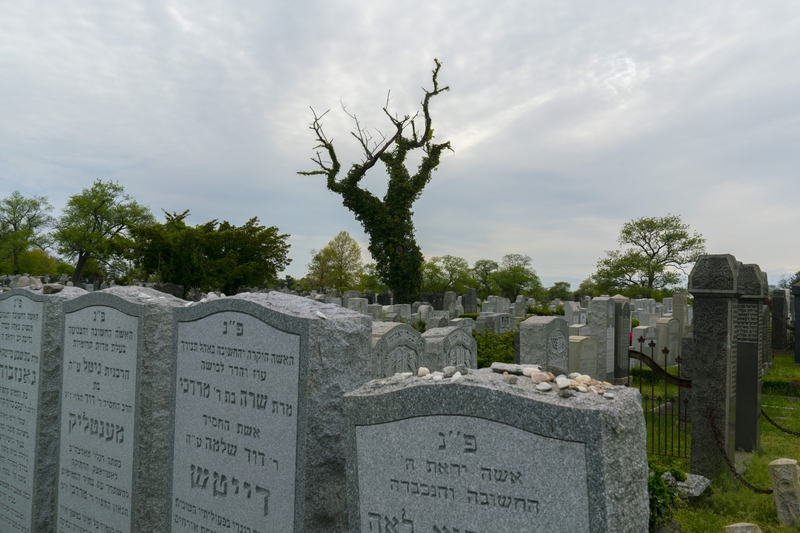 He often goes to the Ohel to visit his grandmother's grave, "She got the best spot, right accross from the Rebbe's tomb."